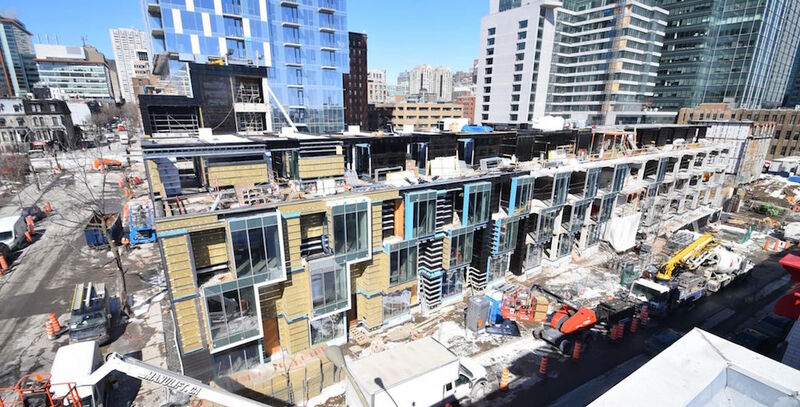 Residents of YUL Condominiums’ first tower will begin moving into their new homes as early as June. Construction crews have started building the 37th floor, and those on the lower levels are nearly complete. YUL’s collection of 17 modern townhouses on Overdale Avenue are also progressing well, and the model home will be ready in a matter of weeks. 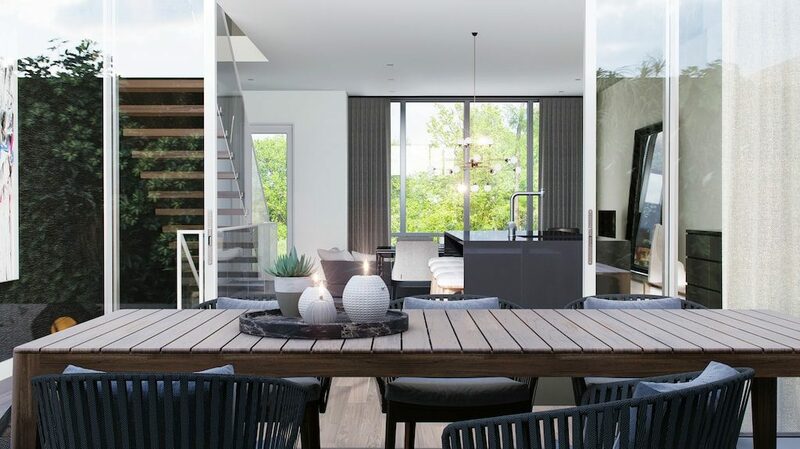 Townhouse purchasers will get the best of both worlds — they’ll have access to the extensive amenities offered at YUL, and will enjoy the privacy of backyard decks, outdoor kitchens with barbecues on private rooftop terraces and two garage parking spots. 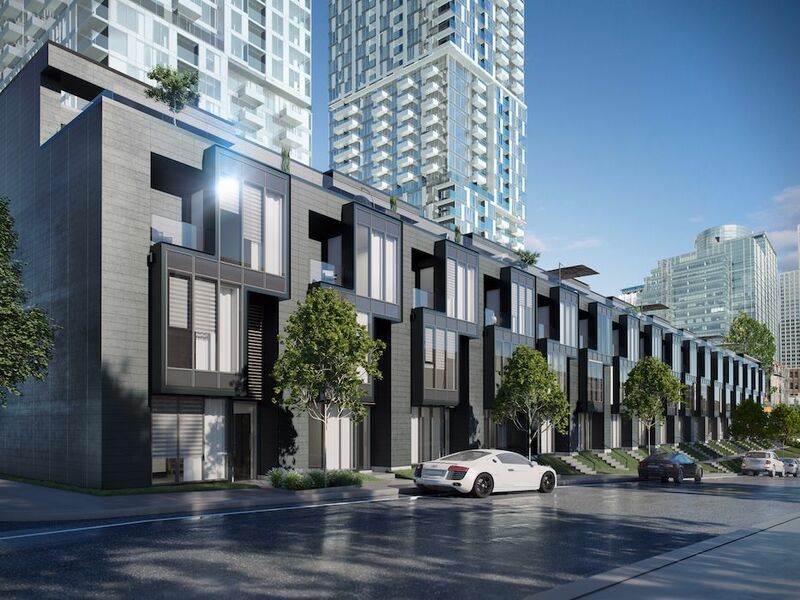 “These unique townhouses give homeowners the opportunity to live in a single-family home with a luxury downtown lifestyle,” said Kheng Ly, president and CEO of the Brivia Group, which is developing the YUL complex in partnership with the Tianco real estate group. YUL 2 launched on Saturday, March 25th, and the event was an overwhelming success. Studio, one bedroom, two bedroom and three bedroom condominiums are still available, priced from the low $218,900s. 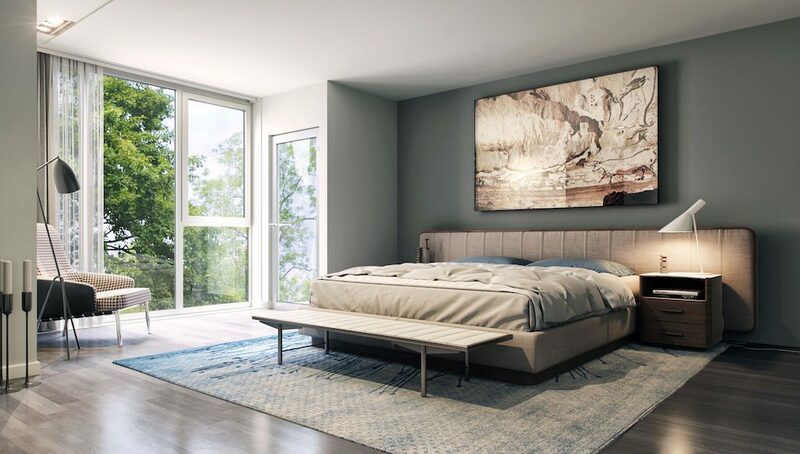 Suite interiors will be characterized by nine foot ceilings, wide plank engineered flooring, electronic home automation systems, frameless glass showers and gorgeous floor-to-ceiling windows that offer stunning views of the Saint Lawrence River, Mount Royal and the city skyline. 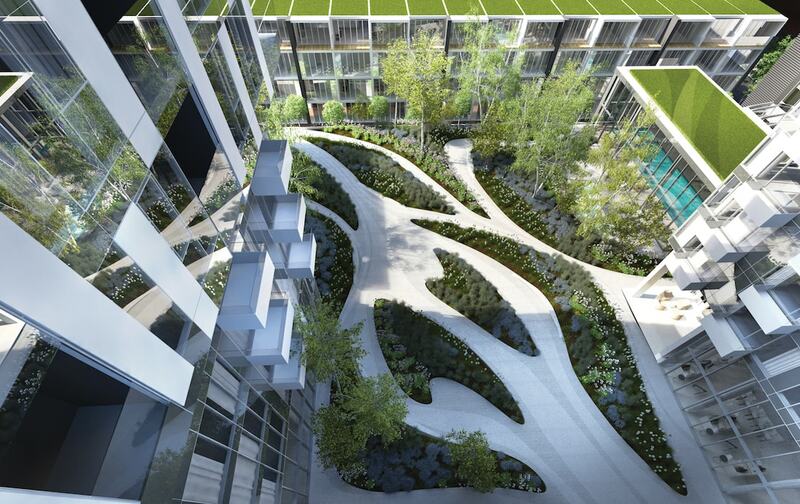 YUL 2 will boast even more amenities, including a lounge overlooking the 23,000 square foot courtyard, two stylish dining rooms for hosting large gatherings, a sixth floor rooftop lounge and two-storey lobby. 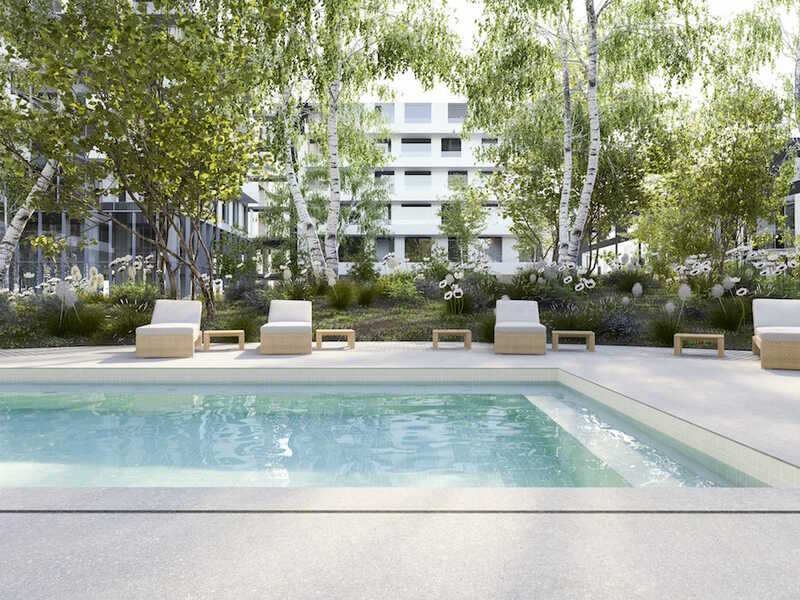 This is in addition to the cloistered garden, indoor lap pool, outdoor Scandinavian spa, fully-equipped fitness room and 38th-floor “sky lounge” that will be ready for use upon completion of Phase 1. 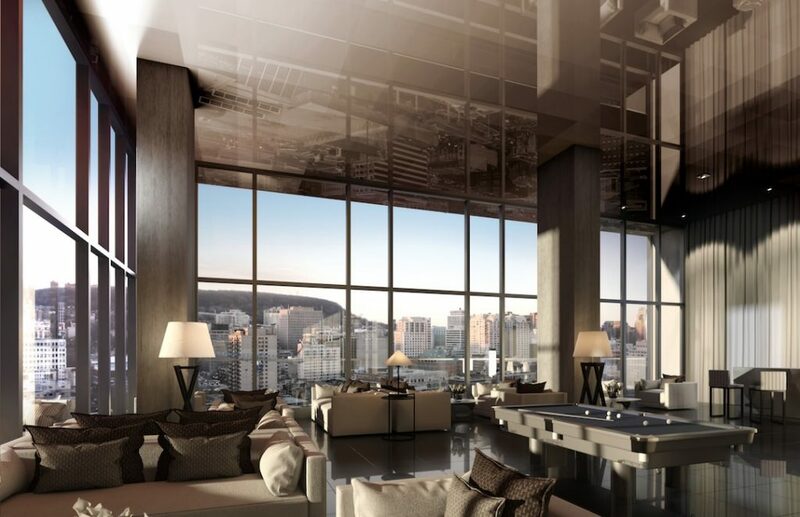 All the common areas have been furnished exclusively by Armani/Casa. YUL will soon announce the date for an open house to showcase its collection of unique townhouses. Prospective buyers will be able to tour the model home to get a better sense of the layout and experience the luxury downtown lifestyle, as well as the upscale finishes and features. Be sure to register online to be the first to hear about the upcoming event.